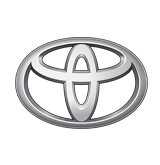 We’re proud to represent Toyota and market their fantastic range of new, Signature Class and used vehicles. Ebbett Toyota Hamilton is our flagship branch, with full service dealerships also in Morrinsville and Te Awamutu. We are fully equipped to provide outstanding vehicle servicing, carried out by a fully trained and competent team using only genuine Toyota parts.